Dr. Yang’s research interests have revolved around the opportunities at the intersection of nuclear engineering, materials science and engineering and electrical engineering. Special emphasis is placed on developing new materials and devices for improving radiation detection and imaging technologies, which are widely needed in medical imaging, nonproliferation, nuclear security, industrial process monitoring, environmental safety survey and remediation, astronomical observation instrumentation and high energy physics R&D. 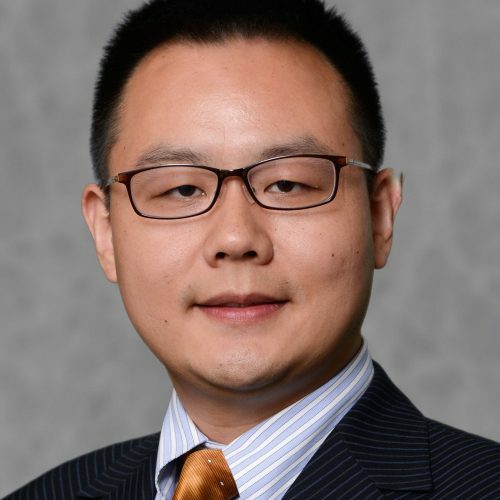 Dr. Yang is also interested in investigating radiation effects in electronic, optical and structural materials and developing radiation-resistant materials. All of these topics are investigated using both theory and experimental techniques. In this project, we aim at establishing new collaboration between the NCSU faculty and INL scientists on the development of advanced sensor materials for nuclear applications. Our goal is to extend the predictive model and experiment verification of materials developed from this INL LDRD project into R&D of robust nuclear sensor materials for use in harsh nuclear environment.